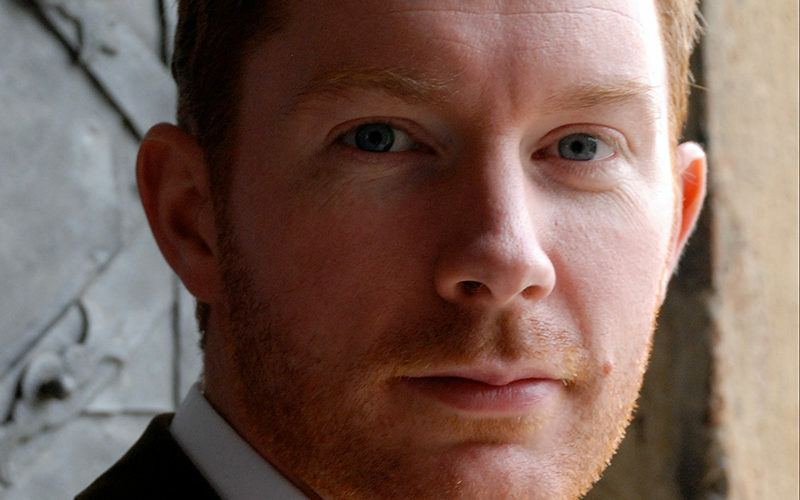 Acclaimed for his « radiantly lyrical » voice, Irish tenor Robin Tritschler has garnered praise from critics and audiences for his performances. In concert, Robin has appeared with many leading orchestras including the London Philharmonic Orchestra (Yannick Nézet-Séguin and Vladimir Jurowski), L’Orchestre National de Lyon (Yutaka Sado), Gulbenkian Foundation Lisbon, the Hong Kong Philharmonic Orchestra (Edo de Waart), the Rotterdam Philharmonic Orchestra (Philippe Herreweghe), the Moscow Virtuosi (Vladimir Spivakov), and the BBC Philharmonic (Juanjo Mena). With the RTE Concert Orchestra, Robin performed the Messiah before Pope Benedict XVI to celebrate the 80th Anniversary of the Vatican State, and gave the UK premiere of CPE Bach’s St John Passion with the Bournemouth Symphony Orchestra under Kirill Karabits. 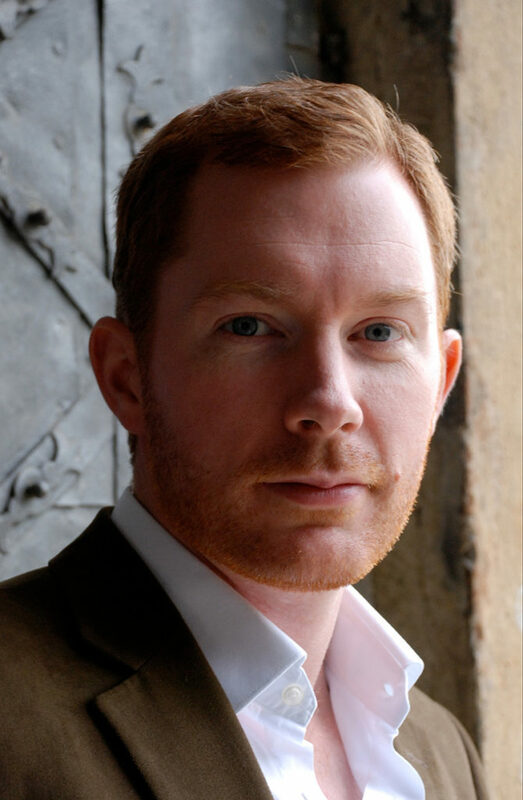 With Welsh National Opera, Robin’s operatic roles include Count Almaviva Il barbiere di Siviglia, Nemorino L’elisir d’amore, Narraboth Salome, Ferrando Così fan tutte, Don Ottavio Don Giovanni and Belmonte Die Entführung aus dem Serail. He recently made his debut with the Royal Opera, Covent Garden in Wozzeck, and with Garsington Opera as Ferrando. Robin also enjoys performing contemporary opera, creating the tenor roles in Roger Waters’ Ça Ira and Will Gregory’s Piccard in Space, and appearing in Jonathan Harvey’s Wagner Dream (WNO) and productions of John Cage’s Europeras 1 & 2 and Louis Andriessen’s De Materie with the RuhrTriennale Festival. Robin frequently appears in recital at London’s Wigmore Hall with leading accompanists Graham Johnson, Malcolm Martineau, Iain Burnside and Julius Drake. He has also performed recitals at many other renowned venues such as the Köln Philharmonie, Het Concertgebouw, and the Kennedy Centre (Washington DC), and at the Aldeburgh Festival, Aix-en-Provence Festival, the KlavierfestRuhr and the West Cork Chamber Music Festival. In 2012 Robin was selected as a BBC New Generation Artist and has broadcast extensively with their orchestras, including appearing at the BBC Proms. He also broadcasts regularly across Europe, including the Britten Centenary Song recitals for Radio France and the Danish Radio. His growing discography includes a critically acclaimed recording of Britten’s Winter Words with Malcolm Martineau (Onyx), Poulenc: The Complete Songs with Graham Johnson (Hyperion), a recording of World War One songs with Malcolm Martineau, and a Britten and Schubert disc with Iain Burnside as part of the Wigmore Hall Live series. Robin’s recent highlights include appearances at the BBC Proms (Sir Mark Elder), and with the Bayerische Rundfunk, Pygmalion (Raphael Pichon), NDR Hannover, and London Philharmonic Orchestra (Nathalie Stutzmann), and he made his debut with the Teatro Colon, Buenos Aires in De Materie. His engagements for 2017/18 include the opening recital of the Wigmore Hall season, B minor Mass with the Royal Concertgebouworkest, St John Passion in Dresden and Salzburg with Herreweghe, Bach cantatas with Pygmalion, Scwhanengesang in San Diego with Inon Barnatan, and a return to the Risor Chamber Music Festival.